called at the Institution and asked to be allowed to take charge of his five (5) children who are now here, he states that he is in constant employment and is well able to support his Family and he says that the cause of his children being here was that his home was washed away by the Floods at Maitland in June last. The children has always conducted themselves well, and their ages are from 5 to 14 years, on reference to the warrant I find that at the time they were sent here in June last it is stated that the father was in gaol, and the mother was a drunkard. The five sisters were the daughters of John Richard32 STANTON and his wife, Elizabeth (X) KAVANAGH or CAVANAGH who were married in St Mary's Catholic Church, Sydney, by John E. GOURBELLION on 16 February 1854.33 Both participants were from Tarban Creek and this location very strongly suggested that they had both been inmates of the asylum there. The witnesses to the marriage were Joseph Peter Benedict CASEY and Elizabeth DUNN who were both from Sydney. Births of all the children of John and Elizabeth were registered in Maitland however one daughter, Catherine, was baptised on 14 January 1855, by J. LYNCH of the Roman Catholic Church. In this record John and Catherine were both from Maitland.34 The likely 1851 baptism of William is still to be read.35 The family was living in a house at Horseshoe Bend, Maitland, on the Hunter River in 1859.36 John and Elizabeth often appeared in the courts of Newcastle and Maitland charged with drunkenness and other offences. John's birth details outlined on his gaol admissions were confirmed on Susannah's birth registration in 1867. Although he almost certainly arrived in Australia as a sailor, at the time of Susannah's birth he was recorded as a labourer. John's first identified appearance in court – and subsequently his first gaol admission – occurred in May 1853 here he described in the Maitland Mercury as previously having been imprisoned for being a ‘dangerous lunatic’ and who had recently been released from Maitland Hospital.42 He was admitted to Newcastle Gaol charged with attempting to commit suicide and was suspected then of being a lunatic suffering from delerium tremens. Shortly after this incident John was transferred to Darlinghurst and from there he was assessed and admitted to Tarban Creek.43 This transfer confirmed the abode of Tarban Creek identified when he and Elizabeth married. It is believed that the couple had met in the mental hospital. After their marriage John and Elizabeth returned to Maitland. John appeared in the Maitland courts charged with drunkenness in 1864.44 While a further incident occurred in the Sydney Central Police Court, it is believed that John was also this man, identified as a passenger travelling between NSW and New Zealand, who was charged with forging and uttering in July 1865.45 He was sentenced to three years with hard labour.46 That this was the same John STANTON is supported because this sentence resulted in a break of about three years from the date of this gaol admission and with subsequent appearances in the Maitland Courts. In light of these occasional visits to New Zealand, it must be considered that John had some connection there. The summary of John's court appearances and sentences occurring after the end of this three-year-term appeared with his photograph on the rap sheet compiled in March 1875 when he was imprisoned in Maitland. Maitland PO 20 November 1868 assault 10 days imp. Maitland PO 27 May 1870 larceny 3 months imp. Maitland PO 8 June 1874 stealing 6 months imp. Maitland PO 15 March 1875 stealing 2 charges 6 months imp. The court appearance on 20 November 1868, and sentence of ten days was for an assault on his wife, Elizabeth. John's surname in this account appeared as STAUNTON.49 John was also tried in Maitland and imprisoned for purchasing liquor after hours in 1869. The Maitland Mercury reported his trial and incorrectly identified him as William STANTON.50 The resulting letter of complaint from William STANTON and the apology from the Maitland Mercury appeared in the paper the following Saturday.51 John was tried in Newcastle on 24 April 1872, charged with the theft of two pairs of trousers, a Crimean shirt and, in a separate incident, a pair of Bulcher boots. He received a combined sentence of six months in Maitland gaol.52 The last court appearances yet located, where he was identified as either J. R. or John R. STANTON, occurred on 11 March 1875,53 and on 18 March 1875.54 John was sentenced to at least six months in Maitland gaol and after this no trace of him can be confirmed but all trace of him has disappeared from either the Maitland or Newcastle courts. John was reported to have died by the time his daughters, Mary in 1878, and Kate on 9 April 1879,55 respectively, married. It may however be that John had abandoned his family and this was simply a statement made by his children to explain his absence. When Kate died in 1885 John was referred to as the 'late J. R. STANTON. '56 The only death of a John STANTON or STAUNTON between 1875 and 1879 was registered in Queanbeyan in 1877. Newspapers reported that this John STANTON was seventy-years-old57 but entries on the NSW BDM Index gave an age of sixty and identified him as John STAUNTON, making this a more likely registration. This death is still unconfirmed and the registration has not been viewed and the date has not been checked on the NSW BDM Index. Elizabeth CAVANAGH had been born in Castle Town, Tipperary, in about 1832. This location and age was recorded on Susannah's birth registration in 1867. Maitland Gaol records from 1870 indicated that she had arrived in 1850 aboard the Irene and was a thirty-two-year-old Catholic who could read and write.60 At the time of the arrival of the Irene Elizabeth was unable to read or write so had learned to do this between 1852 and 1867. 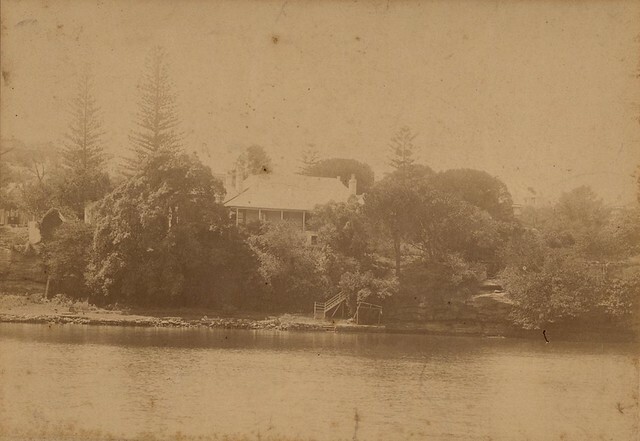 The Irene had arrived in Sydney on 19 October 1852,61 and the indent recorded that Elizabeth was twenty-two.62 Her parents were identified as Charles and Catherine CAVANAGH.63 It is unknown how Elizabeth found herself in Tarban Creek but this was her abode in 1854 when she and John STANTON married. The first appearance yet found for Elizabeth occurred in July 1859 when she was involved in a neighbourbood squabble which was dismissed.64 After many appearances in the Maitland courts, appearances for Elizabeth STANTON begin in the Newcastle courts. She appeared in Newcastle Court on 9 May 1871, charged with destroying six panes of glass the property of William COULTER.65 She was to pay a fine or be imprisoned for three days. Another appearance in Newcastle court for assault occurred on 14 October 1873.66 Court appearances in the Newcastle area cease after this date and Elizabeth almost certainly had moved to Sydney by about 1874. 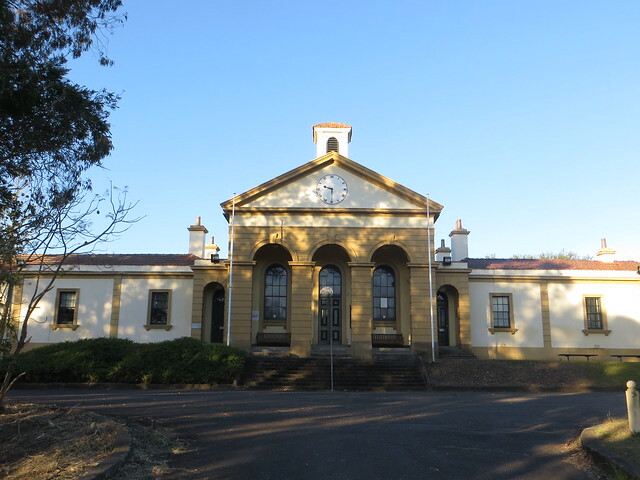 Her daughter, Theresa, was admitted to the Sydney Benevolent Asylum67 on 18 November 1874, at the age of six, and it is believed that Elizabeth was the woman who began to appear in the Sydney courts shortly after this date. Admissions to Darlinghurst for a woman of this name begin in about May 1877 and end about March 1881. Elizabeth was almost certainly the woman discharged from Darlinghurst in March 187868 and as Elizabeth STAUNTON it is believed that she was charged with a theft with Alice LEBURN later that year.69 Only goal records will assist in identifying whether this was the mother, Elizabeth, the child, Elizabeth, or some other person and Darlinghurst descriptions for this period are often very poor. No confirmation of Elizabeth can be found after August 188270 when she was released from Darlinghurst Gaol. If Elizabeth remarried no marriage has been confirmed. Elizabeth's older daughter, Catherine aka Kate, married in Sydney. Kate's descendants indicated that this Presbyterian marriage71 occurred at her residence, 7 Corfu Street, Woolloomooloo. Kate died at Llewellyn Street, Balmain and one of the witnesses at her death was William T. STANTON who was almost certainly her brother.72 William may have been the child baptised in 1851 whose parents were recorded as John and Eliza73 and is believed to have died on 30 October 1910 at the age of 60.74 His baptism record is yet to be viewed. Kate's Funeral Notice contained the name of a brother-in-law named W. SIFURRAZ who has not yet been identified.75 This surname does not appear on the NSW BDM Index. A. J. HUSK who was also mentioned married a CLUBB daughter. Another brother-in-law, William Charles MURRAY, also identified in Kate's Funeral Notice,76 was married to Jane CLUBB and also lived in 7 Corfu Street.77 This suggests that Kate may have been a domestic in this seemingly well-off family. William John STANTON b. 188178 m. d.
The apprenticeship to TAYLOR also seems not to have gone ahead as on 7 July 1876, Caroline was apprenticed to Mr J. A. KEY of Singleton for six years. She was to be paid a shilling a week for the first two years, two shillings a week for years three and four and three shillings a week for the final two years.83 The Discharge Register erroneously clarified that Caroline had been apprenticed Mr. J. A. KERR of Singleton for six years on 21 July 1876.84 Her master was almost certainly J. A. KEY who advertised frequently in the Singleton Argus.85 Nothing was recorded beside Caroline's name in the Discharge Register to indicate whether she completed this apprenticeship. Five years after commencing her apprenticeship and at the age of seventeen, Caroline may have appeared in the admissions to the Benevolent Asylum as Caroline STAUNTON. This woman entered the asylum on 8 December 1881. Her illegitimate son, William John STANTON was born on 31 January 1881, and was discharged with her at the age of five weeks on 23 February 1882.86 Only the birth registration for William would contain any evidence that this is the same woman who was born in Maitland. No further trace of Caroline has been confirmed in NSW or Queensland. No connection or reference has been found for her in the newspapers in Sydney or gaol records and it is very likely that she assumed the surname of the man with whom she eventually married and settled down. Joseph TATTERSALL b. 188694 m. d.
Elizabeth was born in Maitland on 6 March 1857.95 She was described as 'a young girl', when she appeared before the East Maitland court charged with vagrancy on 14 November, three days after her sisters were admitted to Newcastle. She had been arrested by constable McGUIRE who had apprehended her in the street. His evidence was that she had been found wandering about West Maitland, that she had no means of support, lived upon the bounty of neighbours, that her mother and father were habitual drunkards, and that her father was now in gaol undergoing a sentence for larceny. Elizabeth was sent to Newcastle.96 She appeared on the April 1872 list copied from the original record by LUCAS as having been admitted on the same day as her younger siblings.97 This is believed to have been an error made by LUCAS at the time of the transcription.98 Elizabeth transferred to Biloela and was listed by LUCAS in a letter to the Colonial Secretary on 23 June 1871, as eligible for service.99 On 23 June 1872, LUCAS, applied to the Colonial Secretary to apprentice 14-year-old Elizabeth to James Baron WINSHIP, the Manager of the Australian Agricultural Company Mines, Newcastle, for four years at the rate of three shillings a week for the first year and increasing by one shilling a year for each of the four years. By 18 July, less than a month later, Elizabeth and WINSHIP had agreed to cancel the indentures due to Elizabeth having run away. She stated that this was due to Mrs WINSHIP beating her. She appeared before the Petty Sessions on 2 August100 and the apprenticeship was cancelled but after hearing both cases, the charge of assault against Mrs WINSHIP was dismissed. Helenus SCOTT, the Police Magistrate, suggested that it would be appropriate to 'enter the service of a respectable person if it is not imperative for the girl to return to Baloela. '101 LUCAS's list from April 1872, is very difficult to read but it is believed that it indicated the first apprenticeship for Elizabeth on 31 July 1871, to J. B. M?HOU?? ?, Esq.102 and this was confirmed in his report on 7 August 1871.103 The correspondence for Elizabeth indicated that she had gone into service with Mr George AYLIFFE, the uncle of Mary ANN AYLIFFE.104 There was no response in the correspondence concerning whether this employment was acceptable to the government and this question was asked. No further correspondence for Elizabeth has been identified in the CSIL. Online records indicate that Elizabeth STANTON, whose parents were John and Eliza, married Joseph TATTERSALL in Newcastle on 14 April 1881, and two children were subsequently born. This marriage was not registered and has not yet been found in Newcastle records. This is clearly a case where only descendants are able to trace an ancestor who has disappeared. They have used records hidden in the NSW BDM Index under names not easily associated with their ancestor. Joseph almost certainly was killed in a railway accent south of Sydney on 10 March 1888.105 He was described as a highly respected sub-contractor who left a wife and family. Elizabeth may have appeared in the Sydney courts during the 1870s in a series of trials but gaol records are not sufficiently detailed to ascertain whether these records refer to her or her mother or some other woman. Elizabeth died of suffocation in a fire in Sydney at the age reported by the coroner of 55106 on 17 October 1909. The fire was believed to have begun in Elizabeth's room and she had been overcome before she could escape. The inquest reported that there was no evidence of intemperance.108 Elizabeth's correct parents were identified on the death registration on NSW BDM Index. The reports of the coroner in the Sydney newspapers indicated that the house, known variously as Milton House or Craignathan, was owned by Leonard DODDS but that the occupier was Mrs J. FOX.109 There is very little doubt that Mrs J. FOX was Mary WINDSOR who had almost certainly employed a woman who was also a former inmate of the Newcastle school. Elizabeth was buried in the Catholic Cemetery at Rookwood on Tuesday, 19 October.110 There has been no indication yet found of who paid for her funeral nor who cared for her children. Johanna was born on 6 September 1861 in Maitland.111 She transferred to Biloela in May 1871 and was recorded by LUCAS in his April 1872 list as 'In the Institution. '112 On 8 October 1873, LUCAS wrote to the Colonial Secretary to apprentice Johanna to Mr Henry HARTLEY of Balbury near Goulburn. She was recorded as twelve-years-old and he stated that she had been conducting herself well. Johanna was to be paid a shilling a week for the first two years, two shillings a week for the third and fourth year and three shillings a week for the final two years of her apprenticeship113 which would end in October 1879. The apprenticeship was approved and LUCAS confirmed her discharge from Biloela in his report of 3 November 1873.114 This letter did indicate that a further variation of the surname of the sisters was STAUTON. No trace of Johanna has been found in NSW after she left Biloela. She may have adopted the surname of the man with whom she eventually settled. AFTER this date I will not be responsible for any DEBTS contracted by my WIFE, Mary Ferguson, who has left her home without any reasonable cause. Two years later Mary FERGUSON was listed as a missing friend in the Police Gazette of 1884. This age matches that of the Mary STANTON who was admitted to Newcastle and this advertisement is thought to refer to her. Her abode doesn't match the residence of James FERGUSON so it is likely that the couple were living separately. They had one recorded child, Mary Crosby Fergusina FERGUSON, who died in April 1893126 at the age of fourteen. Her Death Notice indicated that her father had died so it is almost certain that James FERGUSON died on 10 January 1892.127 No Funeral Notice has been located for James and his parents were recorded as unknown on the NSW BDM Index. In November 1915 Mary may have been the 49-year-old132 woman charged with selling liquor without a license in Newtown. She was fined £50 or was to go to prison for six months. She appealed and received a six-month extension to pay the fine133 so no description will be available. No appropriate death can be found for Mary in NSW or Queensland and it is very likely that the couple had not been living together for some time – probably not since 1880. Mary may never have remarried, choosing to adopt the surname of the man with whom she eventually settled and without this information she is impossible to locate. It is possible that she remarried William Doncaster BULL in Petersham in 1902. The couple were possibly at 39 McKenzie Street, Leichardt, where William was a bricklayer. George S. WILLIAMS b. m. 1886134 d.
George S. WILLIAMS b. 1890135 m. d.
The registration for the marriage of Susannah STANTON and George WILLIAMS at St Peter's Church in Sydney on 26 June 1886, recorded Susannah's marriage. Both were residents of Woolloomooloo, Sydney. No age was recorded for George but Susannah was shown to be 'under 21 years'. The consent of Edward Grant WARD was given for the marriage. WARD had been appointed a registrar in 1863 so he was not connected to the family or a previous employer of Susannah. The witnesses were C. and M. C. BROWN but there is no indication whether they were a couple or of their identity. George's parents were Henry and Lillian WILLIAMS and he had been born in England. Susannah's parents were confirmed as John and Catherine STANTON and she stated that she had been born in NSW. While John STANTON was recorded as deceased, this was not the case with Catherine but it is unconfirmed whether she was still alive. The church record identified that George's father was an attorney-at-law.143 George and Susannah moved to Bathurst where the birth of a son, George S. WILLIAMS, was registered. It is not believed that any other children have been recorded on the NSW BDM Index. No further trace of Susannah or George or their family has yet been confirmed in NSW after 1886. No death has been confirmed for George and his age is unknown. He was not the George S. WILLIAMS who died in Sydney in 1892 and whose parents were recorded as Vincent and Annie144 as this man died at sea aboard ship SS Rosedale off Nambucca Heads, NSW.145 Online trees indicated that this man was the husband on Susannah McCARTHY and had married in 1889. This marriage also strongly suggested that the child Pauline WILLIAMS whose birth was almost certainly registered at Bellingen in 1891, was a child of this couple. It is possible that the Teresa STANTON who married Francis ARANTZ in Tumut in 1873 was connected but she cannot be the youngest daughter of John and Elizabeth STANTON. Might she be one of the other sisters assuming the name of their youngest sibling?